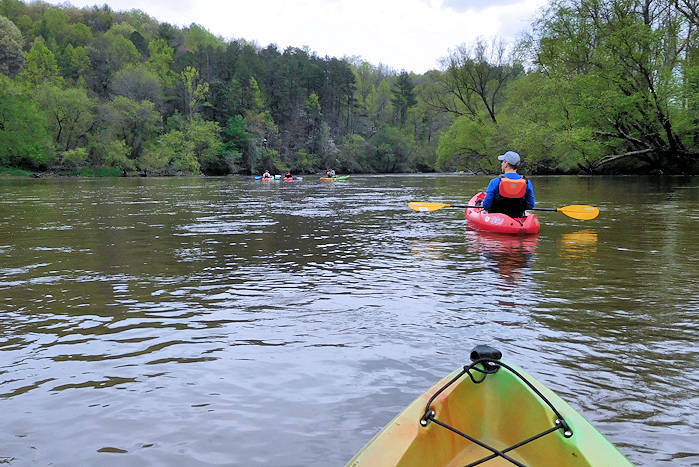 Asheville Outdoor Center has been providing professional, affordable and hassle-free French Broad River trips since 1992, earning a host of awards and certifications. While this section of river is in the middle of the city, you would never guess it since the riverside is forested with views of wildlife along the way. 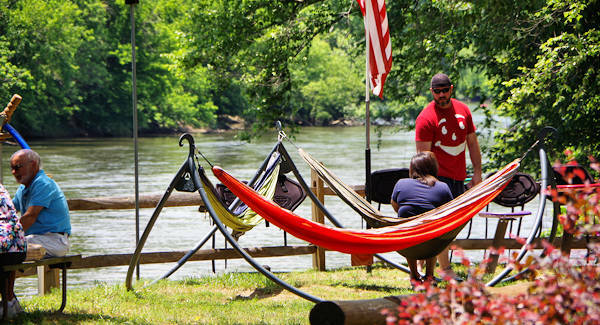 Owner Ben and his crew love helping guests enjoy the river. 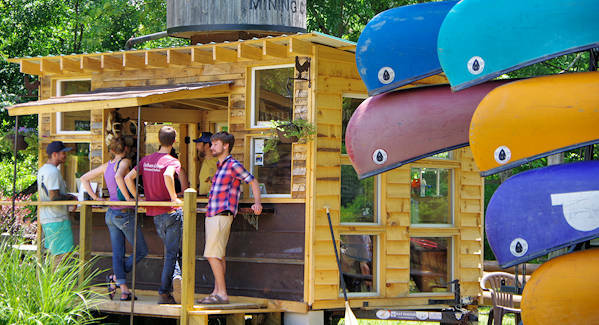 Asheville Outdoor Center's three-acre park is located along the river greenway, just five miles from downtown Asheville and four miles from the entrance to Biltmore Estate. 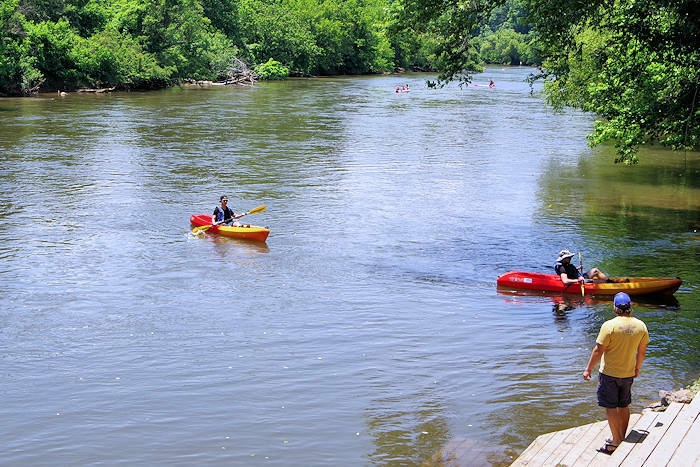 Take a 7-mile float trip through the preserved Biltmore Estate by raft, kayak, canoe or paddleboard. Afterwards, grab a beer at their Tap Room or try your luck at gem mining. 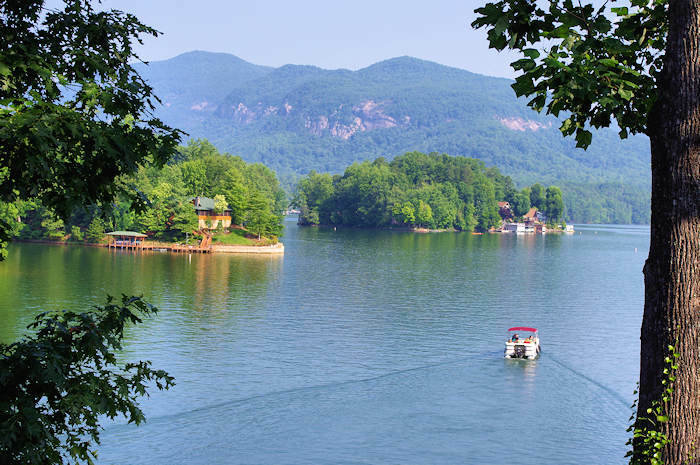 Take a short, lazy tubing trip of about a mile, perfect for those looking for a shorter, get wet cool off on a summer day. From the Asheville Outdoor Center, just walk up the greenway as far as you want and put your tube in the river to drift back. Repeat as much as you want! 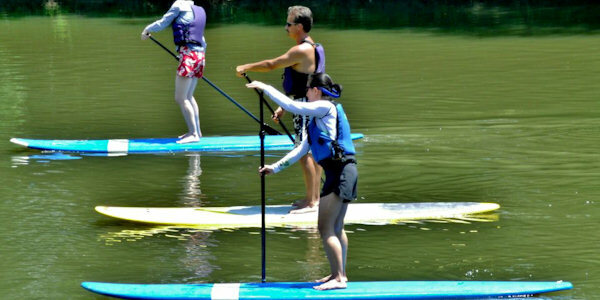 Take a self-guided paddle on a stand up paddleboard, a great core workout and a fun way to see the river. Since Asheville Outdoor Center is located on the river greenway, it's a great place to rent a bike and follow the greenway and bike paths toward downtown or River Arts District. Plus, next door at Carrier Park, you can ride the velodrome like a pro racer. Combine a biking and river trip! At their park, have a picnic, relax on hammocks, play a game of volleyball or try your luck at gem mining.